Superdry has rejected a business plan proposed by its co-founder Julian Dunkerton and urged shareholders not to allow him back on the board. Mr Dunkerton stepped down from the board a year ago since when the shares had lost 70% of their value. Now he has demanded to be reappointed and has published a plan – “Supercharging Superdry”. However, in a blunt statement Superdry said his return, ‘in any capacity, would be extremely damaging’. Its official statement just released, says: “The Board unanimously believes that Mr Dunkerton’s return to the company, in any capacity, would be extremely damaging to the company and its prospects.” It adds the plan has “no clear articulation of the proposed strategy or action plan”. The statement uses capital letters and underscoring to urge shareholders to “VOTE AGAINST” a motion at a general meeting on 2 April appointing Mr Dunkerton to the board along with Peter Williams, chairman of online retailer Boohoo. 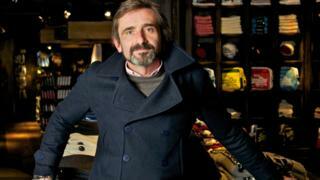 Mr Dunkerton and James Holden founded Superdry from a small stall in Cheltenham market 16 years ago. Mr Holden left the company in 2016 and Mr Dunkerton stepped down last year citing “other demands on his time”, although more recently he blamed “my fundamental disagreement” with the company’s strategy. Mr Dunkerton is the company’s largest shareholder with 18%. He and Mr Holder have a combined stake of 28.5%. Since Mr Dunkerton’s departure Superdry’s fortunes have declined. In December it issued a profit warning, and this month the company announced it would cut up to 200 jobs. Mr Dunkerton criticised the retailer’s “misguided strategy” – including a reduction in stock both in stores and online – which he claimed he had always predicted would fail, and has set up a website Save Superdry. Superdry said that its fall in profits were due to unseasonably warm weather and tough competition from discounters.